Are you an experienced jack-of-all-trades Full Stack Developer with a knack for UX? Do you find challenges as an essential part of personal growth and development? ChimpWorks develops casual mobile games and is looking for a Full Stack Developer. Among small autonomous teams you will be working in a creative, challenging and collaborative environment. 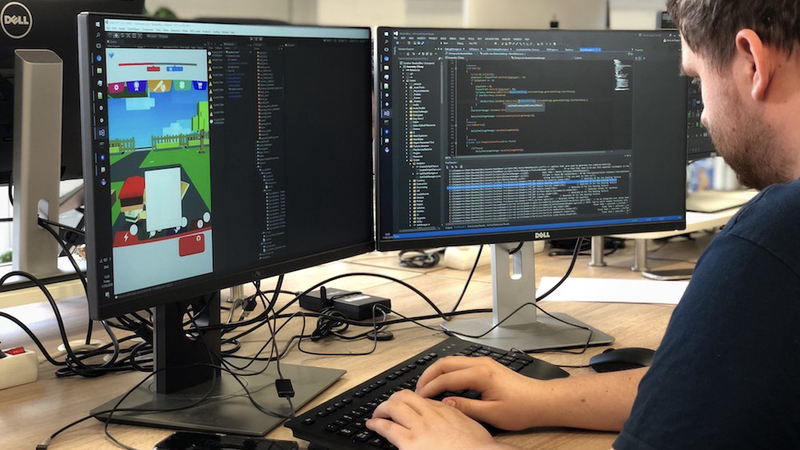 As a Full Stack Developer you will work together with the game, marketing and data teams to develop a full-blown dashboard and tool-set for internal use. Your ideas will be valued, your efforts recognised, your growth fostered, and your successes celebrated. By working in our creative environment where you can learn and grow, you will make your mark on new mobile games played by millions worldwide. Experience in all aspects of full stack web development. A knack for UI and UX. Excellent organizational, communication and social skills. Design and build a full set of web-based applications for internal use, including dashboards, admin interfaces and tools. Work with different teams (game, marketing, data) to understand their specific goals, needs and opportunities, to develop tools to support them in their roles. Front-end and back-end development of web applications. Bachelor/Master’s degree in a relevant study. Experience building and publishing web applications. Experience with common frameworks (for instance Bootstrap, Foundation, Backbone, AngularJS, EmberJS, etc). Experience with server-side languages like PHP, Ruby and/or Python, and database technologies. The chance to bring and realise your own ideas. A competitive salary, pension, and bonus system. Flexible hours from 7 AM till 7 PM. Covered transportation costs and 28 paid vacation days. With an ambitious young team of over 30 individuals from 11 different countries, we are working in an autonomous team-based culture. We have realised more than 5 #1-ranked games and reached more than 200 million downloads. Seize this opportunity and become a part of the ChimpWorks family as a Full Stack Developer! Don’t be shy, start with a hi.